A specially designed multi-vehicle automatic transmission formula created to meet the demanding requirements of the Japanese automobile manufacturers. Gumout<sup></sup> SMALL ENGINE Carb + Choke Cleaner Jet Spray quickly and easily removes gum, varnish & dirt from internal and external carburetor components to overcome hard starting, rough idling, stalling and loss of power. Use Gumout<sup></sup><sup></sup> SMALL ENGINE Carb + Choke Cleaner each time the air filter is changed to improve engine efficiency and reduce emissions. Pennzoil motor oil is a traditional base oil, fortified with Active Cleansing Agents to continuously prevent dirt and contaminants from turning into performance-robbing deposits, helping to keep your engine clean and responsive. In fact, Pennzoil motor oil helps clean out sludge lesser oils leave behind and keeps cleaning all the way to your next oil change. Pennzoil High Mileage Vehicle is a Pennzoil conventional motor oil that has been enhanced with a unique combination of special conditioning agents and additives to help stop leaks from seals and reduce the oil consumption that is typical of older, worn engines. It's a motor oil that is specifically designed for new or late model vehicles with over 120,000 kilometres, to help keep the engines running clean and going strong a long time, month after month and year after year. 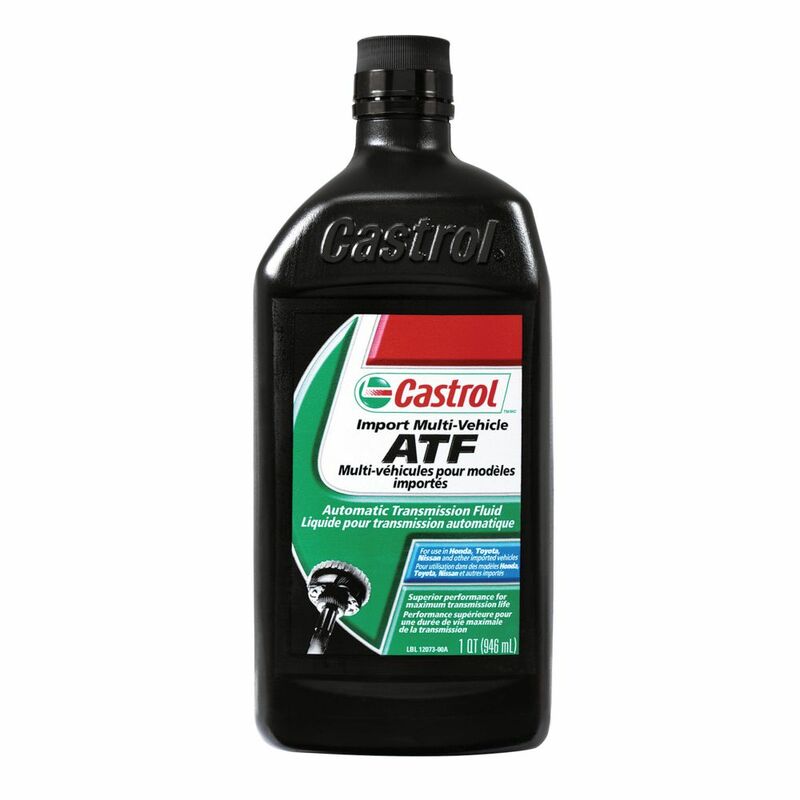 CASTROL IMPORT MULTI VEH ATF 946ML A specially designed multi-vehicle automatic transmission formula created to meet the demanding requirements of the Japanese automobile manufacturers.